Are you looking for organic pest control in your garden that is less environmentally damaging, more natural and less toxic to non-targeted insects like bees, mammals and aquatic life? Good news, there is an abundance of plants that can be used for their natural insecticide properties. Over 1500 are presently being used for control of pests. This provides a variety of methods to get rid of unwanted insects. There are many factors that will determine which kind of green pesticides and organic pest control insecticides you will use. Some are more inexpensive, or more easily obtained than others, or safer to humans and pets. If you decide to use a natural insecticide for organic pest control, you will have many choices. Most types of natural non toxic insecticide are biodegradable. This means that when the substance has served its purpose, it doesn’t stick around to cause damage to the environment. It is washed away with the rain. It degrades and becomes a part of the soil with no harmful residue. Synthetic chemical insecticides often contain ingredients that kill beneficial insects. These insects may be bees and bumblebees that pollinate fruits and vegetables. They may be ladybugs or butterflies, which are also helpful to have in a garden. A natural plant insecticide will probably leave beneficial insects safe. From pollinating flowers to creating honey, bees play a vital yet often overlooked role. Despite providing around 1/3 of our available food, the population of bees is in decline as a result of factors like disease, urbanization, intensive farming and Colony Collapse Disorder. Wild and domestic honey bees perform about 80% of all pollination worldwide. Save the bees! One advantage using a natural bug killer in your garden is that they don’t use fossil fuels. Many of the chemical varieties do. Also, if you use an eco friendly insecticide that is locally available, you will save on transportation costs. There are countless recipes for people to use to make botanical insecticides on their own. You can look on the internet, or in your local library or bookstore for the recipes. These allow you to make and have inexpensive yet effective organic insect control for your own use. If you’re looking for a reason to use a natural insecticide, you will find several. Safety of plants and animals, environmental protection, and ease of use are only a few. Natural insecticides are truly a viable alternative to chemicals. Organic pest control – the best working insecticide on the market? There are many natural insecticides that you can stir up in your own home. You can get their ingredients without much trouble. There are other natural insecticides whose ingredients are harder to come by. These are sold to those who wish to buy them. #1 One organic bug control sold that is very popular for many uses is Diatomaceous Earth, also known as Kieselgur. This is a fine, dry dust that kills household insects by dehydrating them. It is composed of the skeletal remains of plankton. It is safe, you can even eat it, and is allowed by the EPA. #2 Neem oil insecticide is the very powerful natural, holding over 50 natural insecticides. Many commercial versions of neem tree derivatives are sold as a natural insecticide. The neem tree was originally found in India and Pakistan. Now, people have planted it around the world for its natural insecticide qualities. Over one hundred different insects fall prey to the neem preparations. They kill by inhibiting metamorphosis, reproduction, and digestion. They also repel insects. There is a good market for neem products in greenhouses and for ornamental plants. Natural insecticide sprays are sold in many varieties. #3 Garlic also makes an excellent economical, non-toxic …for the garden, as it has natural fungicidal and pesticidal properties that work very effectively. #4 Citrus sprays are popular. Sprays made of lemon peel solutions are sold by some manufacturers. Others use orange peel. There are also sprays based on peppers and other plants. #5 The working ingredient in chrysanthemum oil pest control is called Pyrethrum that paralyzes insects. The only trouble is, the paralysis often wears off and the insects come back. For this reason, it is more often sold in combination with a poison like synergist. This finishes the job the pyrethrum started. #6 The natural microbial insecticide that is sold the most in the world is a bacterium known as bt, or Bacillus thuringiensis. Bt makes proteins that are toxic to larvae. There are different formulations that kill mosquitos, black flies or others for beetles and caterpillars. Only use these natural insecticide with caution! Rotenone is an all natural insecticide that comes from the seeds and stems of Mexican yam beans and the roots of legume, pea, or bean plants. It is not only toxic to insects but also to fish. So, you will want to protect your fish. The vegetables are not harmed and are safe to eat. Insects are killed when they come in contact with this natural insecticide. If not, they will die when it reaches their stomachs and poisons them. It takes it awhile to work, but then it needs to be applied weekly to get the best effect. Sabadillia, another natural insecticide on the market, comes from the seeds of a lily-like plant. The natural insecticide effect is from stomach poison. It isn’t extremely dangerous to mammals, although it can cause respiratory problems and eye irritation. 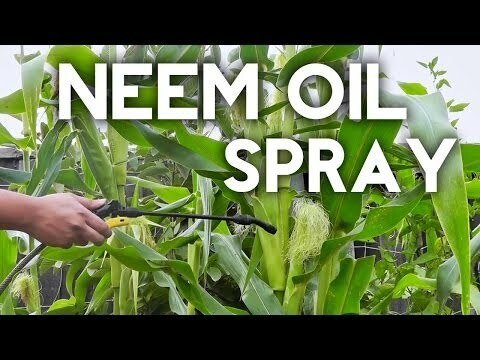 It is safe to use it on plants just before they are harvested. Changing from chemical to organic pest control, green and eco-friendly pesticides is a healing process, not only for the garden, but for the gardener too. We need to discover how nature does things and adopting her methods. Remember the importance of bees, the risks they face and how we can be more bee-friendly in our gardens. Thank you.